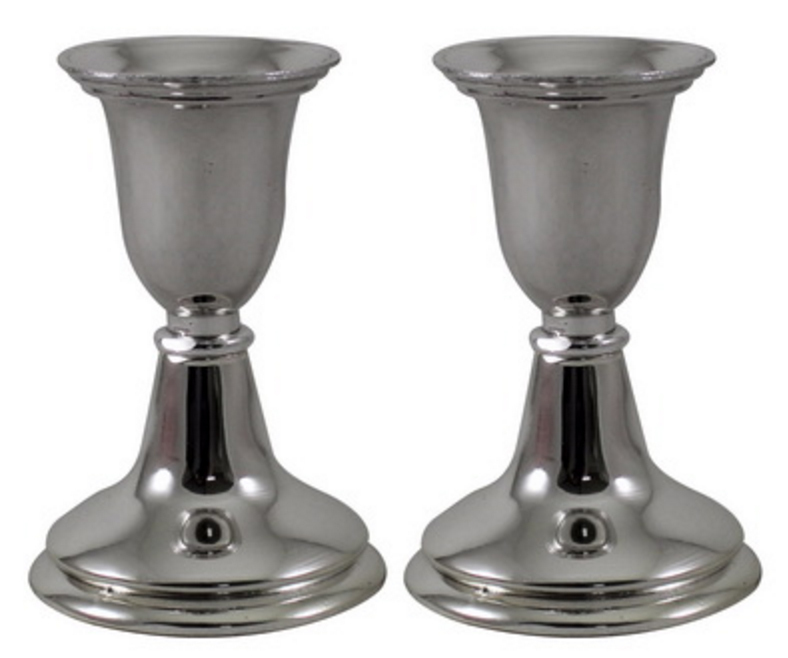 This is a simple but elegant pair of candlesticks made from nickel. They were designed to hold any regular sized wax candle for use during candle lighting rituals on Shabbat or Jewish holidays. These candlesticks will imbue your Shabbat or holiday table with elegance and grace with their simply stunning design that will definitely leave a lasting impression on guest. They are silver plated with a sleek look that will surely make them noticeable and a combination of classic and modern design. These Judaica items can be used with any regular sized wax candle during the candle lighting ritual on Shabbat or Jewish holidays to fill you home with a majestic warm light. These candlesticks make for an excellent wedding, housewarming, Bar or Bat Mitzvah gift idea. Candlesticks are used in the candle lighting ritual that is performed every Friday evening 18 minutes before sunset. This done by the women of the household and is meant to bring in a period of peace and tranquility into the household. In the absence of women, the men do it instead.